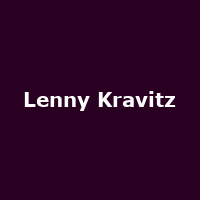 Lenny Kravitz is heading over to the UK for a few dates as part of his forthcoming European tour. The multi award-winning American singer, songwriter, producer, guitarist, drummer (etc, etc) will commence his European tour on 17th April in Paris, stopping-off in Italy, Austria, Hungary, Slovenia and Holland - with his UK dates snuggled in-between, starting on 24th June at the Academy in Newcastle, heading further north to the Glasgow Academy the next day, then down to Wolverhampton on 27th, down further still to Southampton on 30th, before culminating (currently) with a date at the Brixton Academy on 1st July. Lenny was last over in the UK last year for four London dates. Tickets for the Uk leg of the tour go on sale tomorrow (Friday 13th) at midday (12:00).